My 10-year-old son actually came home from school with a P.E. report card that estimated his VO2 max. This is a rather complex cardiovascular measurement that usually comes out of a sports lab for runners, cyclists, and nordic skiers. Naturally, I had to research where that calculation came from. There are actually lots of sophisticated attempts to calculate heart health and "fitness age" with equations that are based on study-derived data. The inputs include age, body mass index (BMI), and how fast you can run a mile in. Here's a BMI calculator; there are many of them on the web. Whenever a fitness equation includes numerical anomalies like ("take everything and add 108.94…") I wonder about their accuracy. I pumped in my numbers, assuming I can run a mile in 7:12. (I can go faster than that, or slower, I just haven't run a mile lately and am guessing). The result I got was 58.6, which seemed high for me right now. Another "fitness age" calculator comes from a well-reported study out of Norway. This calculator takes different parameters, including how hard you train, how often you train, your age, your waistline, and your resting pulse rate. The Norway calculator gives you an estimated VO2 max and a "fitness age." The VO2 max estimate for me was 53; probably much closer to the truth than 58. But this shows how the estimates can differ widely for the different calculators, despite the reams of data they have used to build their equations. 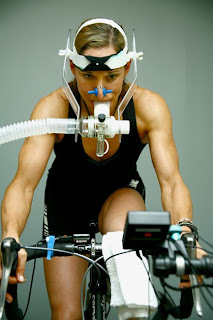 For comparison sakes, Bjørn Dæhlie the great norwegian nordic ski racer had a VO2 max in the 90s, and Greg LeMond the U.S. Tour De France cyclist had one that was around 92, and the great late runner Steve "Pre" Prefontaine clocked in at 84. All the calculators assume that higher VO2 max and low heart rate is always better, and I'd like to see more sophisticated assumptions built into them that take into account the damage you can do with excessive training, and driving your heart rate down to absurdly low levels, like 35 bpm. How many fitness techniques can you easily fit into six and a half minutes, but they seem to hit every muscle? 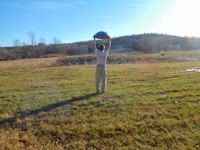 One of them is the Bosu ball burpee, which combines that weird half-inflatable ball thing you see at gyms with the venerable burpee from Marine bootcamps. The reason I believe they are effective is that they are all-body, reasonably high-intensity training sessions that you can fit into narrow time slots and do outdoors. You get a lot of bang for the buck. (1) Pressing the ball over your head while gripping its sides, as depicted in the image. 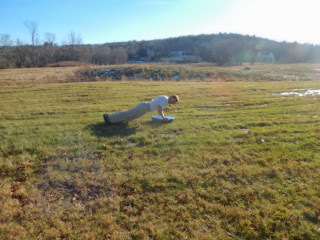 (2) Squat down, hold the ball by the sides the mushy end down, thrust your legs out, and do one pushup. (3) Pull your legs in, stand up, still gripping the half-ball, and push it over your head again (to begin another rep). The exercise strengthens the arms, shoulders, lower back, hip extensors, abs, and legs. It is high intensity. I did sets of 15, 20, and 15 reps. The sets of 15 reps took me about two minutes, the 20 reps about 2.5 minutes. The routine pushed my heart to over 140 beats per minute, which for me equals about 81 percent of maximum. You really don't have to do anything else the rest of the day. Now before you jump all over me for making the prior statement, consider this: you don't have to overdo it and kill yourself every day to efficiently obtain fitness. Efficiency and getting the most bang for your buck is the key. 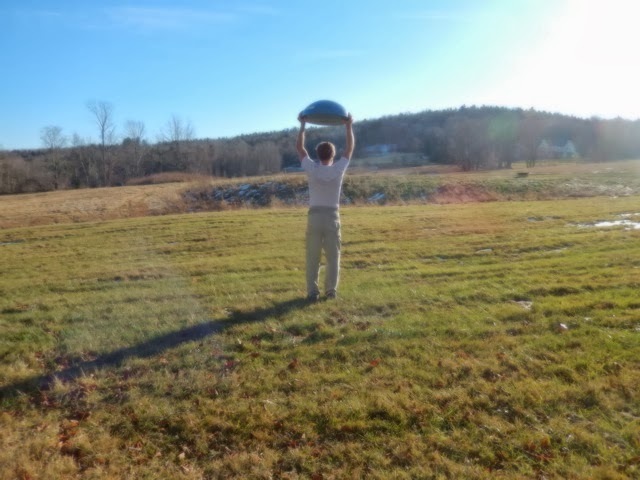 A Bosu ball weighs around 15 pounds. So let's say you complete three sets of burpees; 15 reps, 15, 15. Put it all together, and that's why it feels like a complete six minute routine (about 8 seconds per rep). Do it outside on a nice piece of level grass, and you're getting some sunshine to boot. If you want to have some fun on the mushy side, then do some jumps before or after! 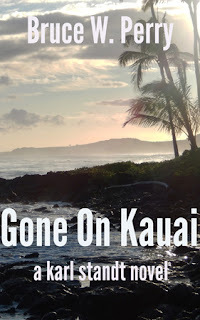 Gone On Kauai is the second novel in a series, with Barbarous Coasts. Amanda Wilcox is a beautiful young GMO activist who disappears paddleboarding on Kauai. Her plight becomes fodder for the tabloid media, especially in Manhattan where her father is a prominent lawyer. A famous actress pledges to spare nothing to help find Amanda. But it falls to the retired NYPD detective and private investigator Karl Standt, at the urging of the desparate father, to go to the Hawaiian island and fix a botched, seamy investigation that has gone nowhere. The detective finds a web of murky connections in the tropical paradise, hints of corruption that exposes the island's drug- and agro-financed underside. 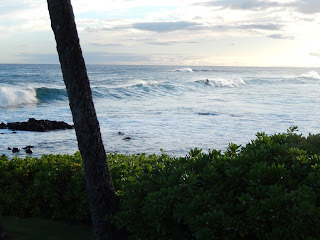 Joining Standt on Kauai is Katie Hudson, a girlfriend and reporter for Slate magazine. The hacker Church leaves his own girlfriend "iz" back home on the lower east side to help Standt break the case. Yep, everyone is looking for Amanda. That includes "Chris K," a surfing, pot-loving local investigator, as well as Vereen, a gonzo helicopter-tour pilot who used to fly missions in Iraq. Vereen takes them into "Cambodia," the tangled, torpid island interior, where drug entrepreneurs thrive. A burned-out ex-cop named Bruno Reilly is also looking for Amanda, or is he? He has a suspicious relationship with a pampered crew of GMO execs partying on a yacht off-shore. They don't mind that Amanda has disappeared-her anti-GMO crusade is bad for business. Is she dead, a shark fatality, or still alive, somewhere, on or off the ocean? Church hacks into phone, web, and bank records, unearthing new threads. Church and iz have their own problems with Ecstasy-the pervasive drug culture hangs over everything like a fog that won't dissipate. The hacker, Katie, and Standt are afloat in an ocean of "equatorial noir" as they try to find out what happened to an All American girl. 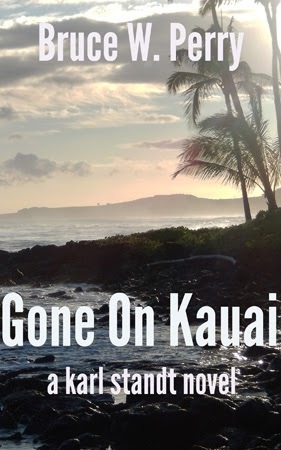 Two Chapters From the New Crime Novel "Gone On Kauai"
Gone On Kauai is loosely based on the notorious 2007 case of a female tourist who mysteriously disappeared on Aruba. After Barbarous Coasts, it is the second installment of the Karl Standt crime novels. Reilly was about six foot two inches, with thick sunburned forearms, what looked like a surfing t-shirt, and shaggy, graying brown hair stuffed into a Boston Red Sox hat. He walked on to the terrace at the St. Regis and Standt knew it was him, by the way a cop's career can work over how you look. He waved Reilly over. Bruno awkwardly weaved through the cocktail crowd, shook Standt's hand gruffly, then took a seat on the couches across from the detective and Katie. Then he took his Red Sox hat off in the heat, and Standt noticed that he had a big bald spot on the crown of his head. He had the flushed look of a drinker, but otherwise didn't seem older than about forty-five. Immediately his hand was in the air, summoning a waiter. The man who was working with Carla looked up, seemed to get a disappointed look upon recognizing Reilly, and came over. "Chivas, on the rocks," Bruno said curtly. His reputation precedes him, Standt thought. "Pardon if I put on some sunglasses," Bruno said, leaning back in his chair. Standt had the impression that the sunglasses were there to permit Reilly to leer unbidden at Katie. "So you two are from…"
"New York," Standt said. Then Reilly's Scotch arrived. He immediately took a greedy gulp, the ice cubes tumbling down the shear angle of the glass on to his upper lip. He put the glass down. "Welcome to Kauai. Best island in Hawaii. What can I do for you?" "Surprise, surprise. You're working for her Dad Sam?" Bruno paused a moment and seemed to size Standt up. "So you worked the streets in the old days?" "Boston, BackBay. The South End." "I think I kind of know it…" Standt commented offhandedly. Reilly looked like the kind of cop you did not want to run into when he was tired, demoralized, and you were acting belligerent. The brief introduction was over. "I need to know what your evidence is," Standt said. "Yeah, forensics. And who are the suspects in Amanda's disappearance?" "There are no suspects in an accidental death," Reilly said matter-of-factly. "She was killed by a shark. In all likliehood." He told this story like he had told it four hundred times before, and the tone suggested that he didn't believe in it anymore. Maybe never did. He spoke quickly, by rote. "The paddleboard had bite marks all over it. Tear marks, like a thrashing shark. Terrible to think about." "Did you find a tooth?" "Did you have a shark guy look at it, a biologist?" "Yeah, she's at the University of Hawaii. I'll give you her cell phone number. Email, whatever." "Did you pursue any other angles, such as any men close to her?" Reilly was a little red faced and one sip later, had reached the bottom of the Chivas. Up went the hand to order another one. He flared at Standt under the surface. "Who you been talking to, Chris?" "Chris K, yeah. We spoke yesterday." We actually got high together, Standt thought to himself. "That's what I thought. Chris is a good guy, but in this case, he's talking out of the side of his mouth. He has a big imagination. And he likes to smoke the funny stuff a lot. 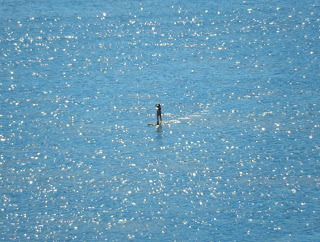 You get that here in Hawaii, fun in the sun. Goofy stuff under the sun. "People don't go out on paddleboards and get mugged here. They get swept out to sea, drowned, smashed by a big wave, or sometimes, attacked by sharks. Don't go out in the ocean myself. Gives me the creeps." "Yet you moved to Hawaii?" "I like the weather, the people, the food. And the drink…"
Then he picked up the scotch, winked, and sipped it again. "What did Chris say, exactly? I could guess. The shark attack was faked. That's his favorite story." "You worked with him a lot?" "Yeah. It's a small island, population-wise." Then he seemed to move on from Chris. "As I said, we found no evidence of foul play. No marriage gone bad, crazy boyfriends. "We don't have very much crime here in Kauai. Only about a dozen, sometimes twenty, people drown per year. Amazing given the thousands of people who are in the water every day all year. It's paradise compared with…New York." Bruno's second Chivas arrived and he wasted no time launching into it. Katie hadn't said anything and seemed to quietly sit back. She disapproved of Reilly in a way she couldn't mask. She leaned forward. She had her sunglasses on and she looked out the aircraft window. She let her eyes linger on the Pacific Ocean. 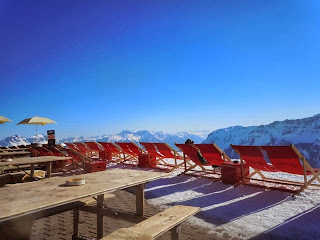 It was a shade of blue lighter than the stratospheric ski blue. The sun made shadows of the clouds on the sea, which was empty except for frothy wavelets that broke along its surface. She had two first-class seats. She sat in the one by the window. She kept the other one empty so no one would pry. So no one would tip off the paparazzi, or tell her how they idolized her, or even pretend not to know who she was, but in a conspicuous manner that was annoying and intrusive in its own way. Her golden blond hair was tied back in a blue scarf. Brian Caleb, "Steam" they called him, was a personal bodyguard who sat reading a magazine across the aisle. Amanda Wilcox was gone and she was flying out to Hawaii to lend a hand. She would do anything she could. She considered Amanda a dear friend in the friendless world of the famous. No expense would be spared. She hadn't been able to get Amanda and her plight out of her mind. It wasn't just the awful tabloids and their salacious tastelessness. Absolutely nothing was sacred to them. It was the ambiguity of "disappeared." The unknowns. Amanda had vanished into thin air. There was something impotent about the efforts to find her, a giving up on the case. It was in all the papers. She'd always looked up to Amanda, even when strangers grew to idolize Scarlett. She'd joined Amanda at one of her GMO protests, and the experience was exhilarating. Her presence had a potent effect on the media coverage and what people thought about food contamination. For once, she'd felt like she was making a difference, not just another movie. Ironically, she wanted to be like Amanda, even as her own status skyrocketed to the stars. She wanted people to accept her for her brains, not just for her beautiful body. She had a magnetic sexuality that came across not only on the screen but in person. But it blocked out everything else she thought was important. People listened to Amanda, were moved and inspired by her. People watched Scarlett; they wanted to glide like her. She had a certain eye-catching sway in her arms and hips. A life force that originated in her eyes and travelled down her curvaceous body. There was that body. They wanted her beautiful olive eyes, her thick lips, and her large prominent breasts. They hung on the sound of her voice. She felt consumed. She wanted to be taken seriously, but secretly knew that she wouldn't ever have the automatic respect people had for Amanda. Actors and directors respected her, coveted her stardom. Even though other performers obsessed over that form of acceptance, it was almost becoming tiresome. Scarlett felt like Amanda was the real thing. She was Amanda's friend and benefactor. Scarlett couldn't yet hold a candle to Amanda's brand of modern femininity. She was jealous of Amanda's narrow activist fame, and imprisoned by her own actress' fame. She was terrified of paparazzi and what they can do to your life. She thought of Princess Di. She ordered another tomato juice from the steward. Amanda was just as good looking as she was in high school. But she was taller. Scarlett knew men, all too well. She has her pick of them. She thought what had happened to Amanda had to do with a man. Or men. She was going to spend the better part of a week on Kauai. She had some phone numbers, of an investigator and a reporter who were on the island. She was determined to get to the bottom of this calamity. She would want Amanda to do the same thing, if Scarlett disappeared. She took off her glasses, and leaned her head back against the soft seat back. She closed her eyes. She wondered if anyone was staring at her. Sometimes health tracking involves playing a simple numbers game: this should be low (C Reactive Protein), this one should be fairly high (HDL cholesterol), and another one should be in the middle (vitamin D). Similar to blood pressure and fasting glucose, the Vitamin D levels in your blood are one of the more relevant markers of overall health. Since the federal government required milk to contain vitamin D decades ago (about 100 IU per eight ounces), to cure widespread rickets in the cities and countrysides, this nutrient has been viewed as an important ingredient of bone health. It's not a magic bullet, but the latest research has shown that the active form of vitamin D is also crucial for overall immunity, chronic-disease prevention, and healthy aging. Here's a handy page discussing the role of vitamin D in preventing several medical conditions. For just one example from the latter page, let's look at the lethal condition called pancreatic cancer, which has cut down Steve Jobs, Patrick Swayze, and hundreds of thousands of others. Several studies have researched solar ultraviolet-B (UVB) light, vitamin D, and pancreatic cancer. There was a lower incidence and death rate from pancreatic cancer in people exposed to higher levels of solar UVB light. These studies appear to be reliable and accurate. They researched the effects of UVB light during an entire lifetime. There have been similar results in Japan and the United States. People who live in warm, sunny climates produce adequate levels of vitamin D. They have a higher risk of nonmelanoma skin cancer. But they have a lower risk of pancreatic cancer. Getting your D-levels into the sweet spot (see below) is yet another way you can tweak your health in the right direction. For some people, it might be a life saver. My own hacking experience is a pretty typical one. The body creates as much vitamin D as it needs via a chemical reaction on the skin with UVB rays from the sun. You cannot generate too much vitamin D from the sun, although you can supplement to levels that eventually become toxic (albeit, these are extreme levels to absorb, in the realm of well over 20,000 IU per day). As a fat-soluble vitamin, the biochemical is stored in the body fat, so you could potentially sock away too much of it. For the vast majority of people, this is not an issue. This summer, I was trying to find out whether I could generate enough vitamin D naturally from the sun alone. This is how we're designed, ultimately, to make enough vitamin D for the body's needs. Some evolutionary anthropologists have theorized that skin became lighter as humans migrated north from Africa, in order to permit the absorption of more UVB rays at higher latitudes, to generate adequate vitamin D.
Testing for vitamin D yourself is reasonably acurate and very easy to accomplish: prick the tip of your finger, leave a few bloodspots on a pad, and send the kit back to the lab. Then check out your level on a web site about two weeks after the test. I use ZRT lab in Oregon, USA. Optimal vitamin D levels are still the subject of debate, although it's safe to say that you want your levels to be greater than about 30-40 ng/ml (nanograms/milliliter). 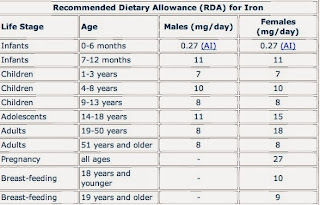 I tested my levels during the spring of 2013 after supplementing, and found they were about 35 ng/ml. How much could I generate with just sunlight, during the Summer months in New England (plus two weeks in Kauai), to bump that up to the forties? Can I Hack It With Sunlight? I completely went off supplements and undertook some pleasurable and strategic sun exposure, meaning I got what I took to be healthy doses, stayed away from sunscreen, and often maintained a light tan. This went on for about two months. Then I tested again. This time my blood levels had actually dropped to 31 ng/ml, which is borderline deficient. I can only speculate why. Possibly my age (56) prevents me from efficiently generating enough vitamin D from the sun. "Youth challenged" people apparently can't convert D in the skin to active form as well as the youngbloods. Maybe my physical activity level, which is high, has shunted high levels of the vitamin's active form from the bloodstream to the cells, where it's used to combat inflammation? I don't know, but I concluded I had to go back on to the vitamin-D supplement wagon, which meant taking anywhere from 2,000 IU to 4,000 IU per day, in gel-cap form. So that's what I did for another six weeks or so. The only way to figure out what works is to test again after a month or two, which I did (I didn't feel any different either way, by the way). I got the results a few weeks ago: 50 ng/ml. This is right around where I want to be, so I was pleased with those results. It seems that I personally require a combination of sun and supplements. 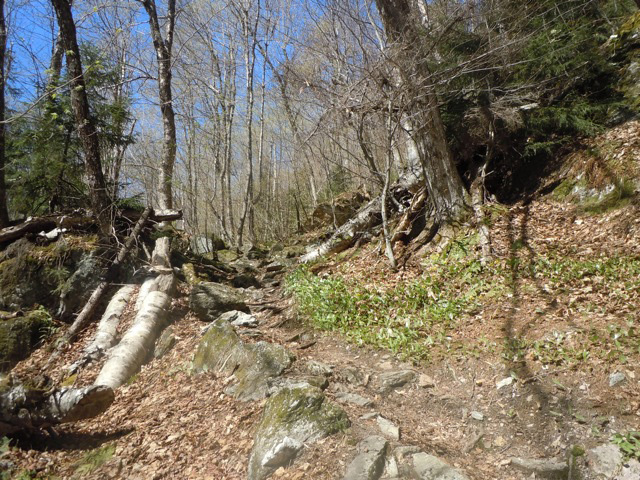 Heading into the Vermont winter, I will no doubt test again soon. Additionally, I don't want to move above 50 ng/ml, although the testing organizations often recommend a level between 50 and 80 ng/ml. 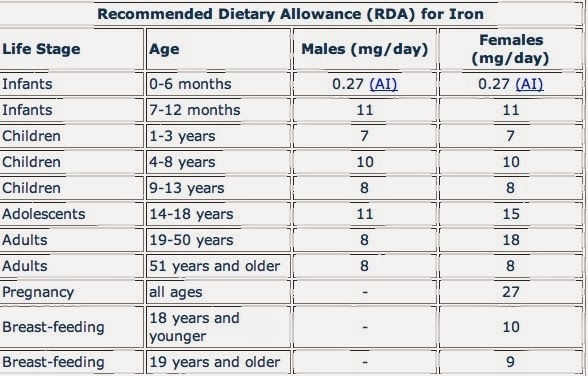 More info on testing and optimal levels: http://www.vitamindcouncil.org/about-vitamin-d/testing-for-vitamin-d/. For the science and detailed information on vitamin D: Chapter 4 of Fitness For Geeks. Blood pressure (BP) is an easy and relevant fitness marker to test yourself for. It's basically biofeedback. You can control it with diet and lifestyle, and it does not inevitably go up with age (that is common mythology). "High" blood pressure is mostly viewed as BP that is consistently higher than 120/80, although the powers that be have moved to lower that benchmark even further. Systolic is the top number; diastolic is the bottom one. I'll show you a number of ways to lower blood pressure, but first I'll discuss my own experience with testing myself, or "health hacking." There's a common phenomenon called a "white coat reading." You visit the doctor's office, you're a little hyper, and you exhibit a high blood pressure, say 132/85. The white coat effect may have only been a temporary and fleeting marker. If you were running away from a grizzly bear (bad decision, that), your BP might be sky high for the moment. 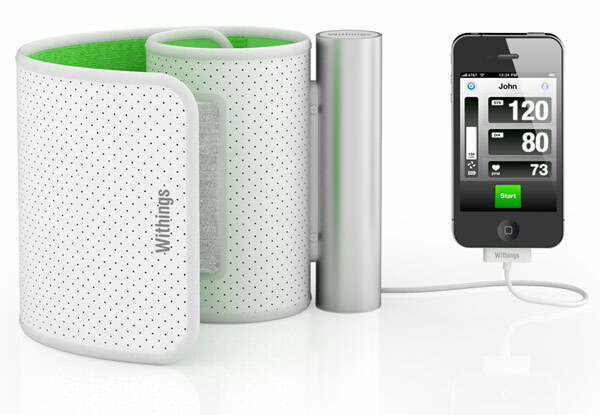 A better way to find out whether your BP is too high is to test yourself over time with the many available, and reasonabily accurate at-home devices. Test your own BP about three to five times per day for up to three days. Track the readings under different circumstances (that's more important than the multi-day part; in the morning, after a meal, in a fasting state, at night, after a nap, after your glass of red wine, etc.). Just as an example, here's how widely the readings can vary for people. I used two different devices last January, a wrist-held device and a digital monitor worn around the biceps, over about three days. Readings: 98/68 in the morning during a 14-hour intermittent fast; 122/71!! and 117/67 after two big cups strong coffee! Later in the day, 103/61, 105/66 after tea and nap. The next day with a better sleep; 106/65 and 107/67. And it goes on and on...those are big variations, such as 122/71 and 103/61, up to 20 percent or more differences. You get the point; test early and often. A baseball maven once said, "You can tell someone's a great hitter when they go 100 for 300, not 1 for 3 or 10 for 30." You need enough data to draw a valid conclusion, to generate a baseline you can work from. If a doctor says "Well partner, your BP is a bit high. Let's talk about that"; you might reply, "Yeah but, I took it 30 times in two weeks under varying circumstances, and it averages about 117/67." Discussion over. You don't need any BP medication. So how do you lower it? There are lots of different ways. All of these different methods can have incremental effects that can add up to significant reductions, accomplished only with diet and exercise. Eat garlic. Garlic has a BP-lowering effect as measured by some studies. It's also a natural anti-viral to boot, so it will help you avoid the flu. I stir fry garlic in cocunut oil or butter; I find it tasty and nutty (it won't do wonders for your breath though–an acceptable trade-off, unless you're hanging out on the Santa Monica pier trying to chat up some Kathleen Turner from-the-1980s lookalike). Eat high-cacao chocolate; such as 70 to 100 percent cacao. Studies have also shown that high-cacao chocolate has a mild BP-lowering effect, and may improve blood flow. Drink a glass of red wine once in a while. Another proven remedy that may help. If I were hypertensive, which I'm not, I would have a glass of red wine per night, but not much more (you don't want to have a hangover!). Sleep and nap more. I measured my BP several times over a week with two different devices. One of the conditions that consistently had a tendency to increase my blood pressure was sleep deprivation, not getting the sleep that I want. Try to get more sleep by going to bed earlier, and make naps the norm rather than the exception. If you're hypertensive, you will notice the improvement. Reduce salt in the diet, increase your potassium (avocados, lemons, sweet potatoes, an ocasional banana); cut any extra weight you are carrying, particularly if you are very heavy. Reduce sugar and other inflammatory foods and aim for more of a Paleo approach to diet: good fats and protein; lots of farm eggs, avocados, fatty fish and grass-fed meats, whole milk not skim, etc. Reducing sugar and inflammation will reduce your BP, because your veins and arteries become less inflammatory. Get some sun; recent studies have shown that sun exposure reduces BP. See The Sunlight Chronicles. Get moderate cardio and resistance exercise. Lifting weights, for example, can increase BP a bit while you're doing it, but decrease BP over time. Seize control of your circumstances. Easier said than done, but clearly a toxic lifestyle involving toxic people, such as difficult bosses, will increase your BP. Sometimes it's just the right time to move on from bad jobs and pernicious situations. High BP can be a symptom of imbalances in your life and reflective of adjustments you have to make in your lifestyle. Attaining a sense of control over life's exigencies will ultimately have a BP-lowering effect. Is Self-Tracking In Our DNA? New Adventure Novel ASCENT Now Available: "Five Stars...The characters are outstanding...Well done"
Check out the powerful new short novel, "Ascent." 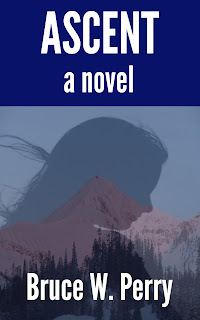 A reviewer already gives "Ascent" five stars and writes: "Not only is this a story of survival in the wilderness of Canada, it also deals with memories of days long ago...I am sure if one was faced with dying, those memories would surface. The characters are outstanding...Well done." John Robinson has past experiences that have nearly killed him. But he has a willful, bright wife Erin who glues the family together, and two nice kids. He's now settled into a comparatively quiet and successful professional life. One morning, he heads off for a company retreat in the mountains of British Columbia. While on that journey he discovers that ordinary life can instantaneously transform itself into a massive struggle for survival, a mirror for your own internal demons, and an opportunity for redemption. 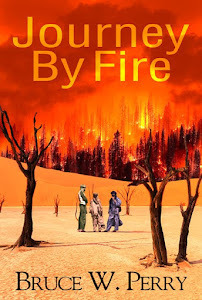 "Bruce Perry's fast-paced genre tale of international financial malfeasance and deadly consequences is, as the cliche goes, ripped from the headlines. Perry captures an essential aspect that investment marks can always be found, especially in times of economic stress when so-called safe harbors such as gold proves to be a mirage -- and unraveling Ponzi schemes is easier than determining accountability…the sights and sounds portrayed by Perry in locales such as Bermuda, Switzerland and Dubai ring authentic and a paragliding plot twist was deftly employed." 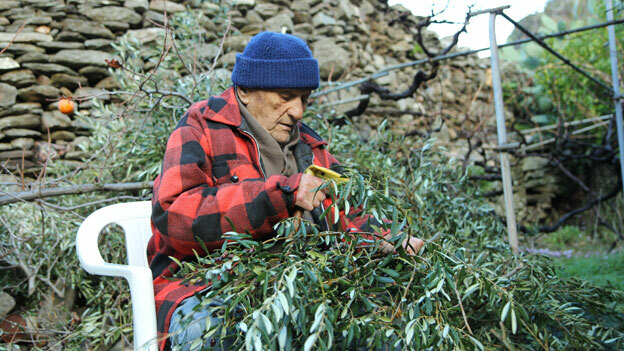 You've probably already seen a little story on broadcast or print news about the Greek island of Ikaria, where the people exceed the typical western European life expectancy (which usually isn't that shabby to begin with) by ten years. Sixty percent of the people are still kickin' up their heels into their nineties, and many remain strong, viable, hard working, and without chronic disease well into old age. Healthy longevity is lots of little and big things put together over many years (as well as some luck along the way). It's not "just genes" or "mostly working out every day and eating well." (1) They move around a lot and have to stay physically strong to live. Everything is up and down in their mountain village. They're not doing the Ironman; they are just staying physically strong. They undoubtedly burn more calories, and maintain stronger joints and leaner mass than the typical American. They're outside a lot, so they get some natural sunlight. (2) They live on fish, fruit, vegetables, olive oil, nuts, a little meat like pork, small amounts of bread, no processed food. The nutrition, along with the lean mass, helps them avoid the metabolic problems (out of control fasting blood sugar and insulin) that quickly lead to chronic disease. It's a bit like the original Meditteranean or cast away diet. (3) They average a lot of sleep (eight or more hours per day), and go by the sun. They generally go to bed early and wake up early. They're not parked in front of screens half the night. They take naps every day (like most old people but the younger should consider doing that too!). (4) They live simply, slowly, and have very little stress and anxiety compared with modern western ways. There is apparently very little depression or dementia among their elderly, compared with skyrocketing rates in America and elsewhere. (5) They have a high-antioxidant diet; they eat fresh veggies and drink tons of their own herbal tea. 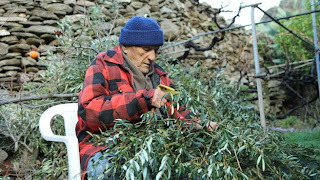 (6) They drink their own red wine, sometimes a tibble at mid-morning. One glass of wine lowers blood pressure and may have a hormetic effect. They apparently don't binge drink, however (well, they probably have a few partiers among them). These people aren't Supermen. But the reasons experts pay attention to them and others (like the Okinawans) is that the rest of us hoi polloi can come away with some valuable lessons from these long-lived people who make health look easy. If you want a very short, highly efficient fitness technique, or you're injured and you want a great "no impact" routine, try this. Call it "strenuous treading water." You don't even have to dunk your head. Go out in a pool or a lake a little over your head (so your feet don't touch the bottom). Place your hands behind your back like you are hand-cuffed, and tread water with your legs, keeping your head above the water. Don't roll over on your back, because that's cheating. Try it for 20 seconds first. You can use the clocks and timers that indoor and outdoor pools usually display. Try to work your way up to one minute or more. It will make you a stronger swimmer, a stronger treader of water, and fitter overall, and it only takes about a minute. It's basically bicycling underwater. I've found longer, deeper strokes with your legs are more efficient, and the more you do it, the better you get at the stroke technique. The best thing about it is that unlike track sprinting, this routine creates zero impact or your joints. Yet I feel a similar lactic acid build-up in the quads and hamstrings as I do when sprinting on grass or a bike, without the anti-knee consequences, for example. You can also do a Tabata version of this exercise: 20 seconds treading water; 10 seconds rest, eight repetitions. Work your way up gradually to eight total reps. I think the Navy Seals do something like this, but I imagine they handcuff the feet as well. When your friends ask you what you did for a workout you can yawn and say, "Something the Seals do in a pool." One of Kauai, Hawaii's great features, along with lost beaches and jungle-covered mountains, is surfing. You're getting super fit (over time) without expressly trying to. When I was done with a "session" (i.e., tumbling off the board, scrambling back on in the froth, and taking my licks), I felt like I'd done an all-body workout without thinking about it. Different than the gym, when you're trying to build up those shoulders. Lots of rapid paddling, climbing up on the board in surf, even lugging the board around, for me, a heavy 10-foot longboard. 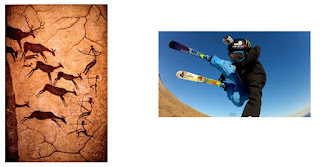 As a newbie, of course, I wasted a lot of energy, similar to a skier trying to learn powder skiing for the first time. 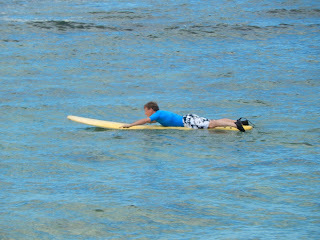 It's a fantastic sport for kids; I saw the "keiki" dealing confidently with the ocean and snatching impressive rides. 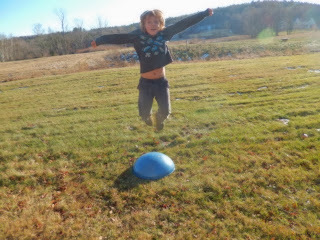 All the kids ("groms") were tan, healthy looking, and gave off a lot of cool determination. They weren't inside somewhere in front of a screen. Surfing fosters camaraderie, or at least it should. Everyone looks after each other. You're outside under the sun, soaking up the natural vitamin D. Being a "haole," I protected myself with a 55-SPF stick, but I did get big sun doses. This was combined with all that rich Vitamin A from the island's papayas (a great source of A, C, and potassium; better than pineapple). A papaya is an example of a high-carb food (about 22 grams of sugar per large fruit) that's actually good because its loaded with nutrients. You're out in Mother Nature dealing with the ocean, which in the longterm fosters a solid sense of the sea. 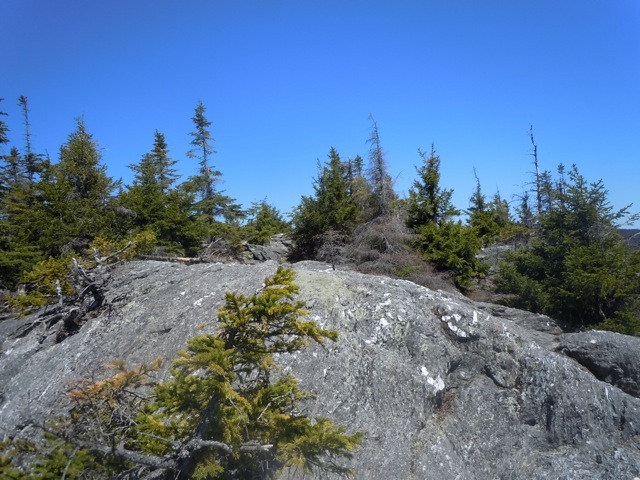 Fitness shouldn't always involve manmade, indoor, and synthetic environments. Like that other "Last Great Place" in America, Montana (the brown bear), you're also developing a working knowledge of and healthy respect for a top-of-the-foodchain animal, the tiger shark. Nature isn't just a pretty video montage on Animal Planet anymore. This sport was invented by the Hawaiians, after all, and comes with its own homespun wisdom. Not to mention the lingo. "Surfing isn't about thinking, which lawyers, doctors, and engineers have a problem with," said my teacher, a good guy named Chris who had none of the usual arrogance of the experienced. It reminds me of skiing, in which you are usually told, "you have to do A, B, and C...but don't think." Get a lesson and then practice what you've learned until it becomes intuitive. Two musts that apply to other things in life: "Never turn your back on a wave... and watch a beach and the break for at least 10 minutes before surfing it." 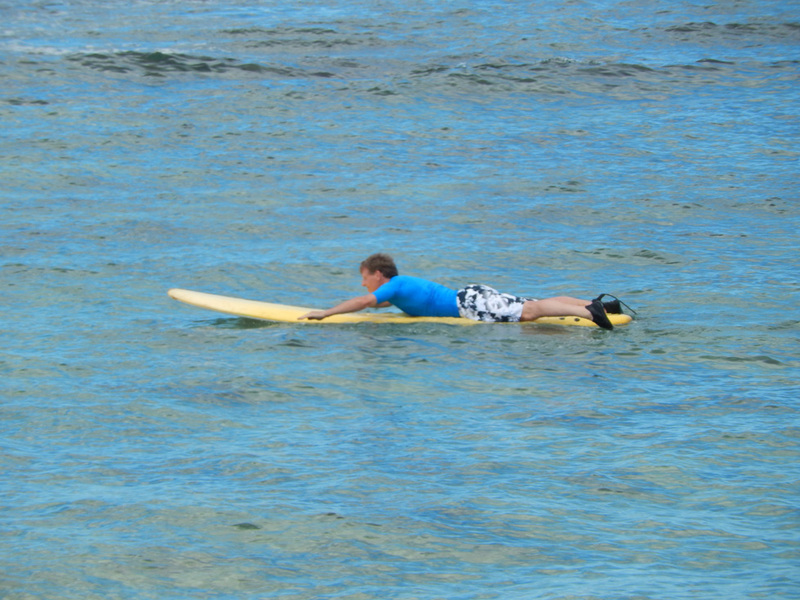 I also spent a lot of time on Hanalei Bay on the North Shore stand-up paddle boarding, which was cool. 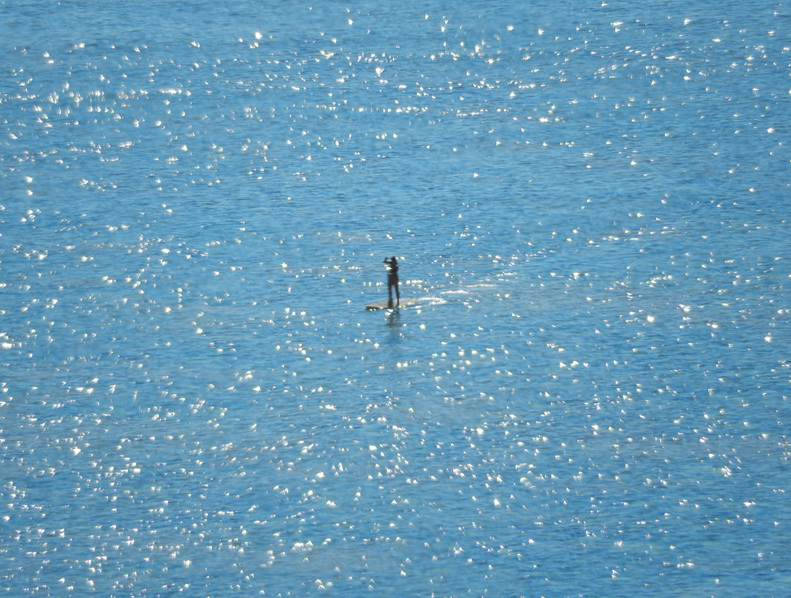 Surfers call stand-up paddle boarders "janitors" and "moppers." It is common to want to know how much weight you can lift once, which is known in gym parlance as one repetition max or 1RM. It can also be a little hazardous to try it, especially without spotters. Never fear; a fairly accurate estimate can be derived from an equation. Let's use the example of bench pressing. Imagine you're able to bench press 175 pounds (175#) six times in a row or six reps. So your estimated 1RM = (6 / 30) + 1 X 175 = 210 pounds. 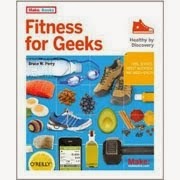 This appears on page 206 of Fitness For Geeks. By the way, the term "5RM" for example, means the amount of weight you can lift five times, such as "I did a push press five times at 70 pounds per rep." The 5RM is a very useful measure for building strength; a sweet spot between your 1RM and a 10RM. The latter simply doesn't employ enough weight or "load" to prevent you from plateauing eventually, as you try to add muscle and power. A higher weight, lower number of reps (e.g., 3RM) is generally more efficient for building strength. The equation above also increases in accuracy the lower the number of reps you use. For example, estimating your 1RM from your 3RM is much more accurate than using a 10RM. I had a great cold water swim today in a river. The river was high because of a wild, violent thunderstorm last night in Vermont, so I was actually able to swim against the current and stay in one place (my own "endless pool"). It was not just dive in and out. The temperature was 54 degrees Fahrenheit, 12 degrees Celsius, as measured by my trusty pool thermometer. I keep track because I'm an OCD measurer about such things. I'm a health hacker. It's a motivating factor–knowing the coldest water I've dived into, or the longest time spent in the water during certain times of year. It's also interesting to note the physical effects, which also of course comes from the scientific literature. A hint: they're really good. It's anti-inflammatory; most aches and pains decline instantaneously, and the effect lasts for hours. If your knees are pounded and you don't want to dive in at the moment, just stand up to your knees in the water; you'll notice the benefit right away. CWI is great for spurring recovery from any hard exercise or soft-tissue injuries/problems–and it would be justified based only on this benefit. It's a form of "hormesis" or good stress. I have a good chapter on this in Fitness For Geeks. There's evidence that CWI triggers an adaptation and hardens the body against infection by viruses and other physical maladies, as well as improves the body's antioxidant mechanisms. Two studies found that regular winter swimmers had higher resting levels of certain biochemicals that are considered major antioxidants in the body. Recall that oxidative stress is at the center of the aging process as well as a number of major diseases such as cancer. Another study found that regular winter dips reduced fasting insulin levels substantially (high fasting insulin levels can be indicative of insulin resistance and inflammation in the body). Certainly, many cultures (the Scandinavians) and people swear by and demonstrate this notion that cold-water swimming has made them healthier in the longterm. The study pointed out that there is evidence that people doing regular cold-water immersions "have higher levels of antioxidants and that the cold shock response is attenuated with repeated immersions." CWI stimulates brown adipose tissue (BAT), or brown fat (fat cells that contain more mitochondria and blood vessels, giving them a brownish hue compared with white fat) and cultivates the generation of BAT on the body. BAT is fat that is metabolically active (it generates heat and burns calories), while white adipose tissue (WAT), which a lot of us are carrying around too much of, is stored energy. If you're more metabolically active, it means you're overall healthier, from the standpoint of having a slightly higher resting metabolic rate, and moving glucose from the bloodstream and into muscles, thus keeping fasting blood glucose low, for example. From this study: "BAT is thermogenic, a property conferred by the presence of a unique protein, uncoupling protein 1 (UCP1). Located in the inner mitochondrial membrane, UCP1 uncouples mitochondrial respiration, releasing energy as heat. This unique property protects animals from hypothermia." It's an appetite suppressant, and it lowers the resting heart rate (that may only be a temporary effect however lasting a few hours or more). The immediate effect of diving into cold water is to increase heart rate and blood pressure, which is an aspect of the Mammalian Diving Reflex. The latter mechanism is triggered when your face hits cold water. On the other hand, you are swimming, which is cardio, which lowers resting heart rate as a longterm training effect. People tell me that they run for basic stress management; it's an "easy fix," as in the runner's high. CWI has the same effect on me, it induces relaxation and euphoria, and you're getting healthier to boot. Have cold-swim buddies, to help solve the willpower and motivation issues concerning "taking the plunge." Keep a cold-swim diary. As you amass records of your swims, if you fail to get into the water, you'll disappoint yourself. Remember? You're a health hacker! You need data! Have a nearby target to swim to. I have another place by the Mad River where there's a nice swim through gentle currents to a sunny rock, which gives me a "target." 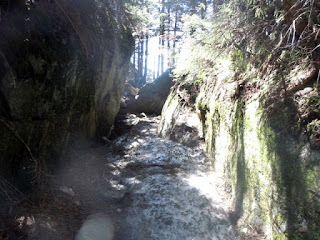 Then I get to lie on the warm rock and "chill" in the sunlight, followed by a dive back in and another cold swim sprint. 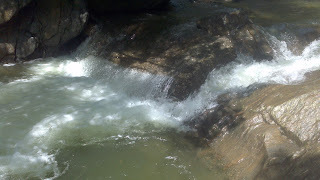 Such a contentful scene, with the sun shining on the river rapids and the warm rock. Remember to obviously take part in CWI safely; diving into extremely cold waters (like 0 to <10 centigrade) can be dangerous for some participants. Although the effects lessen or attenuate the more you become adapted to CWI, cold shock typically involves an increase in heart rate, blood pressure, and oxygen consumption. I can relate to this one because I got injured last weekend, my lower back around the lumbar spine, which can be scary. I seemed to have failed #1 and #9 below, but now I'm on a fast track to recovery. At 56, I've had many common sports injuries over the decades, so I'm familiar with the typical response and recovery patterns. #1: Own up to the injury. Declare yourself injured as soon as possible; this will speed your recovery. This won't be a difficult step if you tear an ACL or Achilles tendon, for example (you won't be able to walk! ), but many injuries are more subtle: mild or moderate concussions, various soft tissue tears or sprains. You're tempted to just "soldier on," your identity and self esteem are heavily wrapped up with your daily routine and you hate backing off it (maybe that's another issue to work on). Believe me, this is a mistake. You can make the injury worse and prolong your recovery. Many injury-response steps have to do with attitude. You're going to have to change what you do for several days, and the sooner you start the better. #2: The good old R.I.C.E. acronym will do you no wrong for the vast majority of physical mishaps like soft tissue injuries (Rest, Ice, Compression, Elevation). Ice is best for the first day because it minimizes swelling and bleeding. Get the ice pack on right away. Then move to a combination of ice followed by heat. #3: Eat and sleep really well. Your body is broken but has an amazing capacity for regeneration. You have to repair tears in tissue and sometimes bone fractures and the like; that means you have to provide the raw materials, which are quality proteins. Whatever your favorite good protein source is, chow down: fish, red meat, fowl, eggs, avocados, etc. Ease back on sugar and other inflammatory foods like refined flour; you want to *reduce* inflammation. Get plenty of sleep, because sleep is repair and rejuvenation time for the body. The difference in injury-recovery time when you're sleeping well compared with burning the candle at both ends is *amazing*. #4: Listen to your body and ease back on the painkillers and pills. This may seem kind of Spartan but…Ibuprofen helps by masking the pain and inflammation, but doesn't initiate any healing in its own right. Listen to your own body; it embodies thousands of years of accumulated evolutionary wisdom. I'm not talking about real pain-management issues. This advice refers to the typical sports and overuse injuries that involve more stiffness and restriction of movement. I find that injured people tend to live on NSAIDs when they didn't really have to ("I took 12 Motrin yesterday!"). I took a grand total of one 200 mg Motrin for my back injury. I wanted to know what I had done to myself, and to monitor the sensations to find out if I was improving. #5: See a specialist if there's no incremental or noticeable improvement. My rule of thumb is that if even a moderately bad injury (not disabling) is improving with treatment day by day, you don't have to see a specialist. Every concussion, however, necessitates a trip to the doctor and the complete cessation of the activity for a long time. By that I mean dizziness afterwards, headaches, nausea, certainly any evidence you were knocked out or saw stars. In other cases, for example, my back injury is getting better every day, very quickly, so I don't have to go see "the back guy." In fact, pursue a less is more strategy in general for handling your physical issues. #6: Tell others that you are out of action, including work. This goes back to #1; you're injured, you have restricted movement, you are trying to get better, and you have to dial back what you do for several days. Don't be afraid or embarrassed to ask for help if you're lugging babies around or the like. Believe me, I've been there. #7: Be patient. Older people will almost always take longer to recover from injuries than younger people. The famous Celtics coach Red Auerbach used to say something on the order of "a 20 year old player who pulls a hammy is out for a week; a 40 year old is out for a month." Just assume that you're out of action for a while–the joy when you comeback faster will be all the more uplifitng. #8: Be aware that stress and fatigue precludes injuries. Mental stress and anxiety leads to eroded reaction time, loss of coordination, poor concentration, all the things that lead up to muscular, tendon, and joint injuries. When you're stressed, do easy relaxation type exercises and leave the high-intensity stuff for another time. #9: Learn to avoid injury in the first place by knowing your limits and not having to prove yourself over and over again. The definiton of injury is literally placing a too-heavy load or force on a set of muscles and joints for too long a time. If you're going to challenge yourself physically, then train adequately for the activity and work up to it incrementally. Most of us aren't athletic savants; if you've only done crossfit twice, don't enter the crossfit tournament. The apparent source of my injury was, in retrospect, a little pathetic. I spent the good chunk of a morning in one of those automatic batting cages proving to myself that I could still get around on a fastball. I even had a little cheering section of kids ("Gee Mister, did you used to play baseball?") The next morning I looked and moved like Jed Clampett. 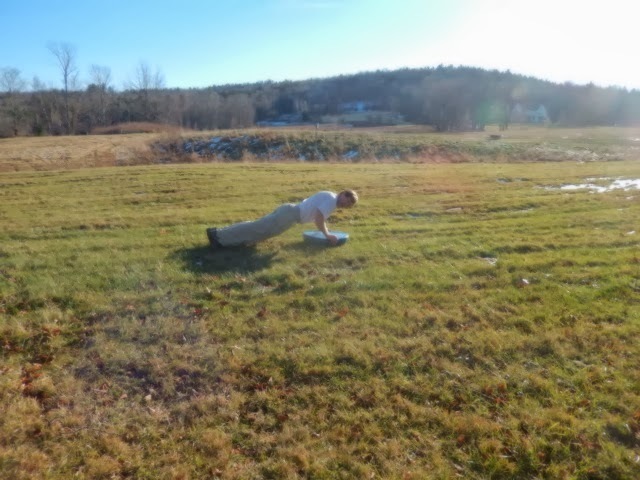 #10: After you're 100 percent again, use resistance training and other techniques (e.g., common sense stretches and yoga) to strengthen the area that was injured. The injury was your body's way of exposing your weakness, and how joyful it is to find new routines and not get injured again! 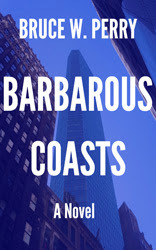 The New Kindle Book "Barbarous Coasts"
A seasoned cop, a paroled hacker, and epic chicanery in the financial world. A well-dressed man falls forty-two floors off the roof of a New York City hotel, and a big league pitcher witnesses the event. Somehow, Detective Karl Standt, a Vermont boy who's made his mark in the big city, believes this is more than a Wall Streeter's fall from grace. He forms an off-beat alliance with a computer hacker, and what unfolds is a fast-moving, multilayered tableau depicting the sharp end of contemporary America. The new detective thriller is downloadable in Kindle format from Amazon. Remember that you can put the Kindle reader software at no charge onto your computer or smartphone. Enjoy it! The 2000 movie Cast Away is really about a man who never has enough time–he runs around with a stopwatch trying to get his FedEx workers moving, and can't even spend Christmas with his fiancee–then suddenly has so much empty time marooned on a South Pacific island that he attempts suicide. Then the film stencils Seven Years Later across the screen, and Tom Hanks has been transformed: he's solid, bleached, lean, and standing in the tropical shallows with a homemade spear. The implications are obvious: he was forced into a self-imposed Cast Away Diet. The pounds were shed living off the land and subsisting on, presumably, shell-fish, fish, fruit, and coconuts. Possibly some root vegetables were thrown in there. So he got plenty of lean protein; fish fats (Omega 3s), coconut fat (lauric acid is a "healthy saturated fat"); vitamin C and other important nutrients. The Cast Away Diet is actually superior to the Mediterranean Diet, which relies too heavily on grains (a filler-food at best and fat-making and toxic at worst, as in gluten, lectin, and other anti-nutrients). The Cast Away Diet doesn't demonize any of the macronutrients; it just gets good amounts of all three. it might be better than the Paleo Diet, given the recent dust-up over red meat. The reliance on seafood and not animal-muscle meat removes some of the squeamishness some people considering Paleo have toward red meat. The Cast Away Diet is far more nutritious than vegetarian or vegan diets, with the healthy fats and rich amino acids from fish, and the absence of grains. A cast away would probably also hunt seabirds and eat small reptiles, so you can add fowl and game to the mix. This diet is not difficult to replicate for the average eater, more or less permanently cast away on the shores of one of our large cities, who gets to know one of the innumerable fish stores. I'm basically eating a Cast Away Diet this month, with lots of shrimp, scallops, lobster tails, arctic char, fruits, salads, a bit of chicken, etc. Now all I need is a volleyball. 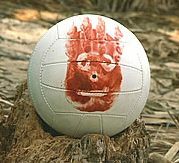 Wilson!! 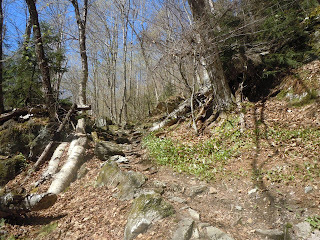 Today, I rode my mountainbike since spring has finally arrived in the northeast U.S. I had both Strava and Endomondo apps running during the ride, because I like looking at both results pages. 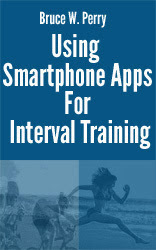 In the same spirit of "riding the two apps," I recently wrote a short book called Using Smartphone Apps With Interval Training for your Kindle. 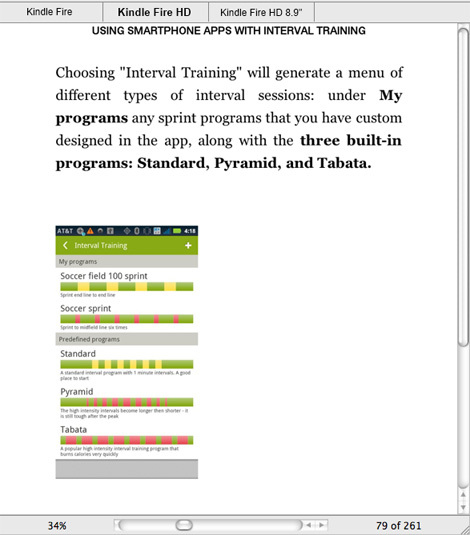 The book describes in detail how to use Endomondo's and Strava's interval-training features, plus includes a chapter on how to weave sprints into your training in general. Screenshots included, and technical references (with built-in links). Enjoy! I sat next to a guy on a plane, a nice fellow, whose business it was to sell affordable packages of breakfast to USA school districts. His target student "wasn't the kid who drives a BMW to school and eats breakfast at Starbucks," but kids in cash-starved districts where they only have a shocking 75 cents on average to spend on each breakfast. With which you could possibly buy a single orange. So what was in their breakfasts? Cereal and breakfast bars, mostly, all "USDA approved" and "organic," and nutritionally not worth the plastic packaging they were wrapped in. They hardly looked better than the snackettes that the airlines pass out these days. The man wearily pointed out that they were limited by this USDA-approval nonsense and the extremely strapped funds of the school districts, who have to feed the kids something. Other than sugar wheat and sugar water (skim milk), what actually is a more optimal breakfast for kids? If I had to produce a neat package it would look like hard-boiled or scrambled eggs (full fat and optimally from local farms), some fruit, bacon, and maybe a coconut-milk based "green" or berrie-based smoothy. So-called ketogenic or high-fat plus protein meals are not only more satiating and nutritious than sugar wheat and sugar water, but they have a proven calming and anti-inflammatory affect on kids with ADHD and other behavior issues. A good farm breakfast that grandma would have whipped up (maybe minus the stack of pancakes) is far better than the institutionalized breakfasts–based on dysfunctionally subsidized soy, corn, and wheat–that tens of millions of American kids are getting now. If they even get breakfast. So who's going to pay for all this? Most people can't get a farm breakfast these days for 75 cents (those were the days). How about a couple of big philanthropies coming forward to pony up the funds (the highly philanthropic Bloomberg and The Gates Foundation come to mind). Maybe a Children's Breakfast Initiative (CBI)? Here is an interview transcript from a few months ago in conjunction with the publication of the German edition of Fitness For Geeks. The interviewer is Alex Plaum of O'Reilly's office in Cologne, Germany. AP: Hi Bruce, what did you have for breakfast today? BP: I had two hardboiled eggs, an avocado, some berries, cheddar cheese, and half a banana. I waited about 15 hours between meals (6 PM last night), although I did have a whey protein smoothie while watching the Obama-Romney debate later on, so this doesn't count as a "full fledged" intermittent fast. AP: When was the last time you worked out? BP: Yesterday I had an interesting workout. We have a 10 kilometer stretch of open beach here north of Boston (Plum Island). It was low tide and the ocean was flat, not too many waves, so I did 6-7 100-meter dashes on the hard sand barefoot, maybe the last few all-out. Then I dived in the water. It was 9-10 degrees C., which I measured with a pool thermometer. Just a quick swim. Very refreshing (and healthy)! Cold-water swimming is a relatively new thing with me; it's remarkable how the body can adapt to it. BP: That was mostly a play on words, considering that now I've done a few climbs with mountain guides in the Alps, and in the Western U.S. But I think I did some of the wrong things fitness-wise during my youth; mainly, I overtrained. I was banged up from too many road races (running), then I jumped into an over-40 soccer league (your futbol) and almost wrecked my knee; then the triathlons were a little more forgiving due to the swimming, but I was still overtraining. Now I've eased back on the speedometer, and just do things with my son like ski, and one big effort in the mountains per year. I play with fitness apps. I get sick far less often than I used to. AP: For "Fitness for Geeks" you've done quite a bit of research on nutrition, health, physical strength in general and body monitoring. What are your most important (and most surprising) insights in a nutshell? BP: One insight was the pure breadth and depth of the health/fitness apps; tens of millions of users on EndoMondo, Strava, FitBit, Runtastic, and the like. AP: The average western office worker spends something like 8 hours a day sitting on a chair and staring at a screen. Can riding your bike to work, running in the park during lunchbreak and having vegetable soup instead of french fries and chocolate pudding really compensate for all this passiveness? BP: Yes. It's funny, sitting around a lot is the one thing everyone knows they do too much but it seems to be the hardest habit to break. They do a lot of studies on the effects of sitting and "screen life" (they should probably move on to something else important now, since we already know...:) and they find out at the very least that even relatively short bouts of sitting around will mess up your fasting blood sugar (which is supposed to be lower, not perpetually high). Little things add up over the months and years; you lose bone mineral density and bone strength because of the lack of weight-bearing exercise and weightlifting. What happens to older people and muscle and bone deterioration is a case in point; they stop moving for years ("because I'm old") and the propensity to fall is the cause of so many problems, literally the straw that breaks the camel's back. It's tragic to see someone decline for these reasons, because it's preventable. The upshot is that modern office people should put themselves in perpetual motion. It's not hard, right? BP: Stand-up workstations will be the norm. They undoubtedly are at some companies. AP: Another question about "working out" in your free time: I love hiking... and rowing... and playing team sports. But weightlifting? Is it really necessary to go to the gym? BP: Weightlifting is kind of an X factor, and I don't think these other activities, however fine they are, can substitute for it. Best to combine your endurance sports with muscle building: avoid injuries, avoid loss of lean mass which modern life accelerates; slow the ageing process, get positive gene expression; become stronger and faster. Hiking's wonderful, I do it a lot, but it doesn't make my legs or upper body appreciably stronger. By the way, you don't need a gym; you can get free weights for home or office, and do crossfit type routines like pullups, pushups, and burpees. AP: Hanging on the couch, watching three sci-fi movies in a row while having a big cheese pizza and a lot of caffeinated soda is very popular with a lot of my friends. Is your book a danger to "traditional" geek culture? BP: No. "Traditional" geek culture is evolving; some of the things "the software inclined" have liked to do, such as level up with video games, are now being adapted to exercise routines: see Fitocracy. It also depends on what geek cliche you're talking about. A geek is also an aficionado, a passionate devoted expert, as in bike geek or weightlifting geek. You can be a jock and a geek; believe me, if've worked with many of them. AP: Anyway, it's been very interesting discussing "Fitness For Geeks" with you. Any final thoughts on your book and why people should read it? BP: My book covers all the bases for anyone who wants to get started, including the plethora of apps available for analyzing nutrition and supporting your fitness routine. 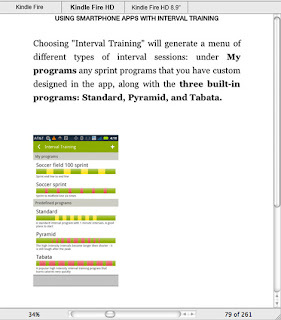 If you ever wanted to know what a GPS eXchange file was, my book has a section on that, as well as solid, well-researched health information on Paleo nutrition, fasting, weightlifting, interval training, and the like.